With massive volumes of data, how are organizations going to ensure that their customer information is safe from people looking to exploit it? Is it possible to adopt big data technologies while demonstrating compliance with industry regulations? Will security get in the way of the analytics tools? 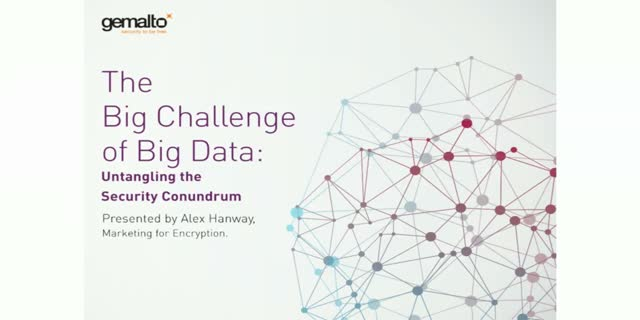 How can security apply to different data consumption technologies like Hadoop and NOSQL? Join Gemalto on Thursday, December 1, 2016 as we discuss what’s in store for the ‘big data’ technologies of the future and how security models like encryption can solve the security conundrum.